Ariel is an award winning international actor performing in all mediums and currently living in New York City.
" Ariel Shafir as Macbeth shines. His delivery of the 400-year-old text manages to sound more modern than some contemporary dialogue. He brings out the humanity in Macbeth through his humor (never let anyone tell you Macbeth, the show or the character, isn’t funny), fear, and guilt, but not so much that the audience doesn’t root for his eventual defeat. " "Ariel Shafir’s black-booted Macbeth is a riveting, sly, laughing and ultimately mad schemer. Shafir toys with the audience, putting his arm around random theatergoers and offering his hand for a kiss as if from royal subjects. Poss is a beautiful would-be queen, wide eyes controlling the house, completely credible in the role. When Shafir and Poss interact as the couple, they are electrifying." 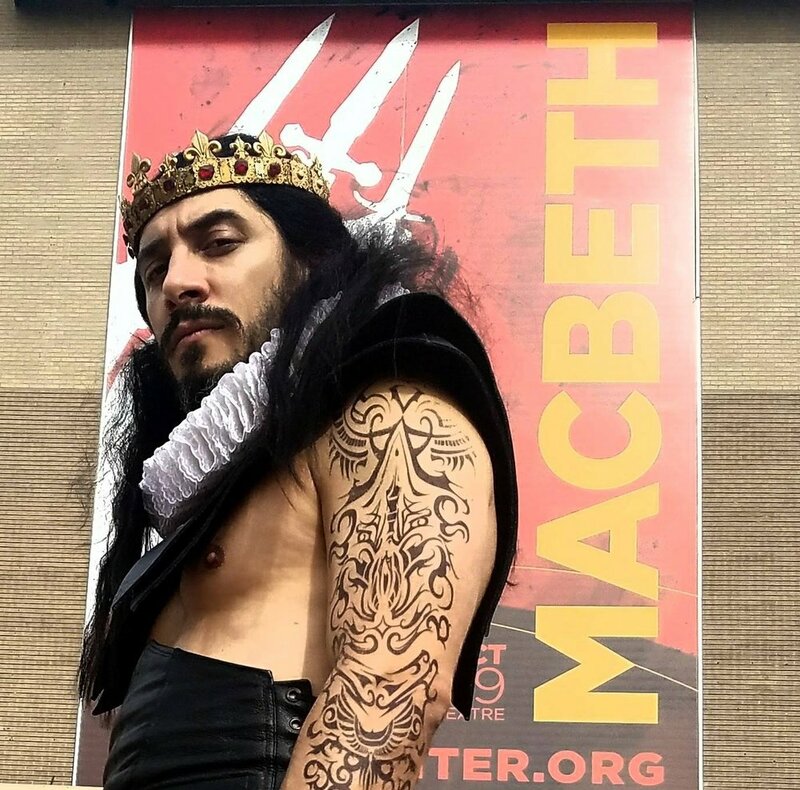 "Concerning Ariel Shafir’s Macbeth, he was a revelation: He truly made the dialogue sound modern, almost improvisational—yet he was using Shakespeare’s text verbatim. The actress Marianne Moore recently said, “There is something so intimate about acting; lots of things dissolve. Gender dissolves. Age dissolves. Culture dissolves. And you’re just with actors.” I know now what she was talking about."